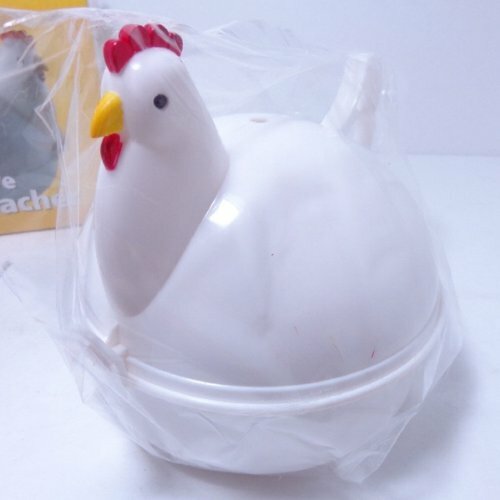 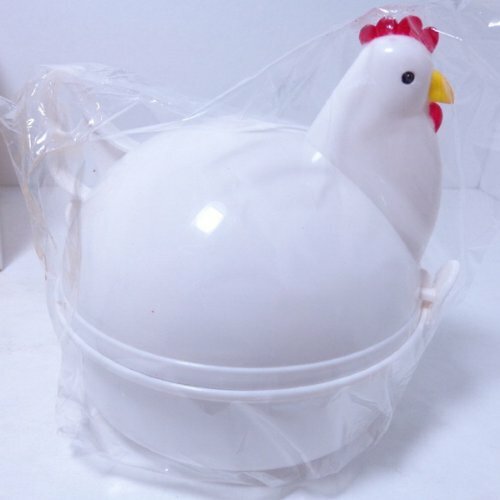 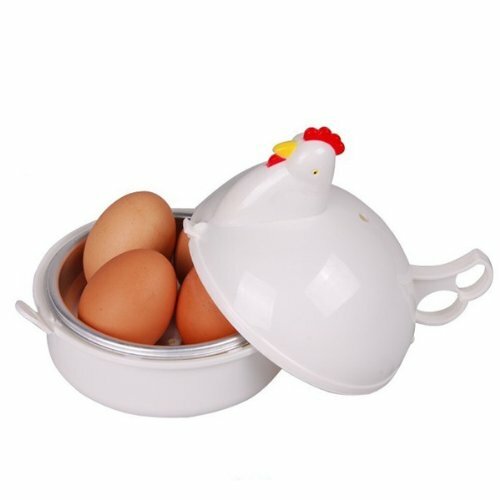 Foxnovo Cute Chicken Shaped Plastic Microwave Egg Boiler Poacher Cooker for 4 Eggs | SleepyChef.com | everything breakfast! 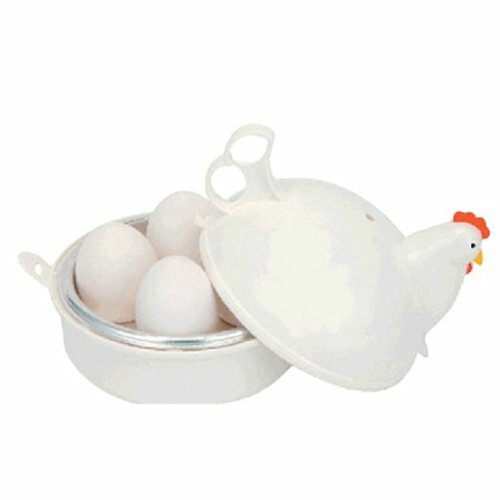 A nice way to boil eggs in microwave with no mess or effort. 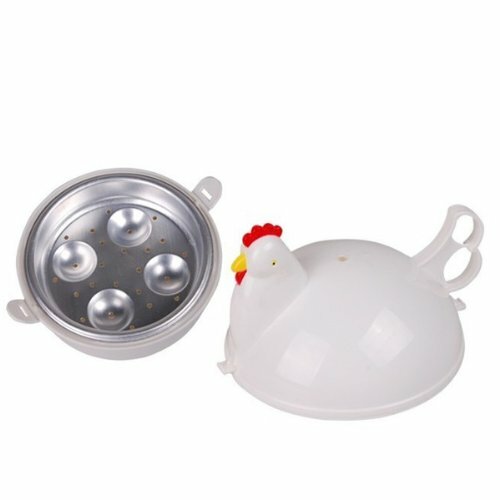 Steam cooked eggs are tender and nutritious. 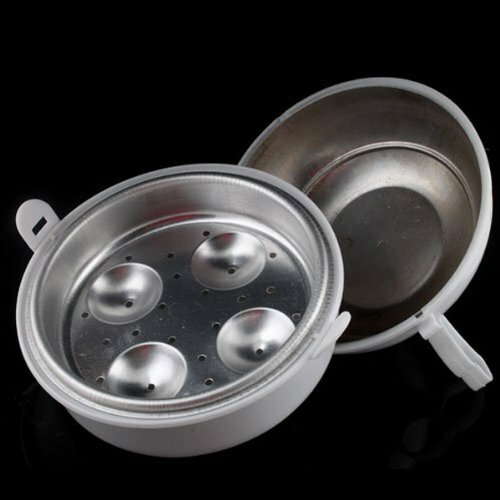 The fabulous egg boiler come in really handy when you are craving for some poached eggs in the morning. 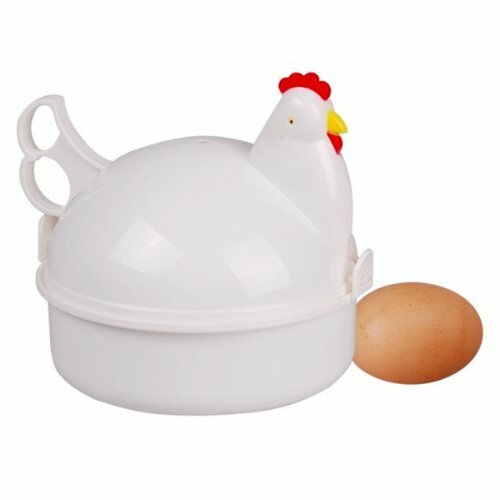 Plastic egg boiler for cooking 1-4 eggs at a time with ease. 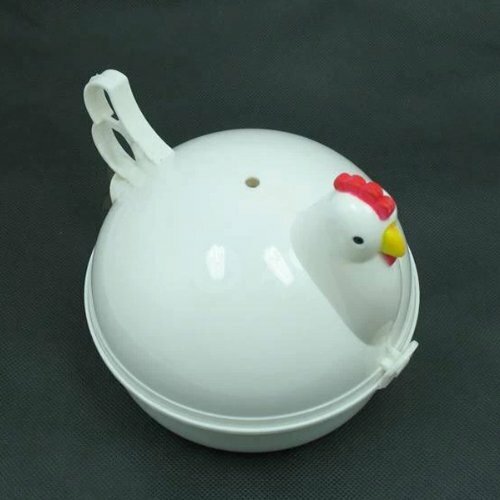 Pop your free-range favourite into the boiley microwave egg boiler, and zap for 5 to 7 minutes, the power is about 600W. 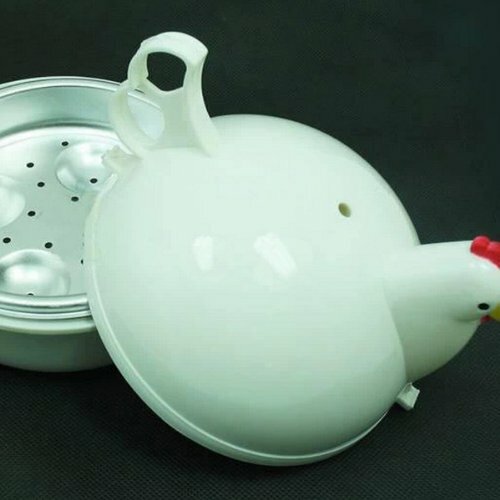 Free control of egg tenderness.